Tour De France 2011: Schleck Attacks To Win In Alps, Moves Into Second Place : The Two-Way Andy Schleck has shaken up the 2011 Tour de France, attacking in the Alps on the race's hardest stage. Schleck made his move on the day's second intensely steep climb, bursting out of the pack that held rivals Cadel Evans and Alberto Contador, along with overall leader Thomas Voeckler. Andy Schleck climbs Galibier pass, where he won the 18th stage of the 2011 Tour de France. Thursday's 124.6-mile course ran between Pinerolo and Galibier Serre-Chevalier ski resort. Andy Schleck has shaken up the 2011 Tour de France, attacking in the Alps on the hardest stage of the 2,131-mile Tour. Schleck made his move on the second intensely steep climb of the day, bursting out of the pack that held rivals Cadel Evans and Alberto Contador, along with overall race leader Thomas Voeckler. None of the other contenders answered Schleck's challenge, and soon after he put on a burst of speed going up the Col d'Izoard, he was beyond sight of the peloton. The large pack of riders only gradually picked up the pace as the two-time Tour runner-up from Luxembourg sped up the mountainside. Contador now stands 4:44 behind the overall race leader. 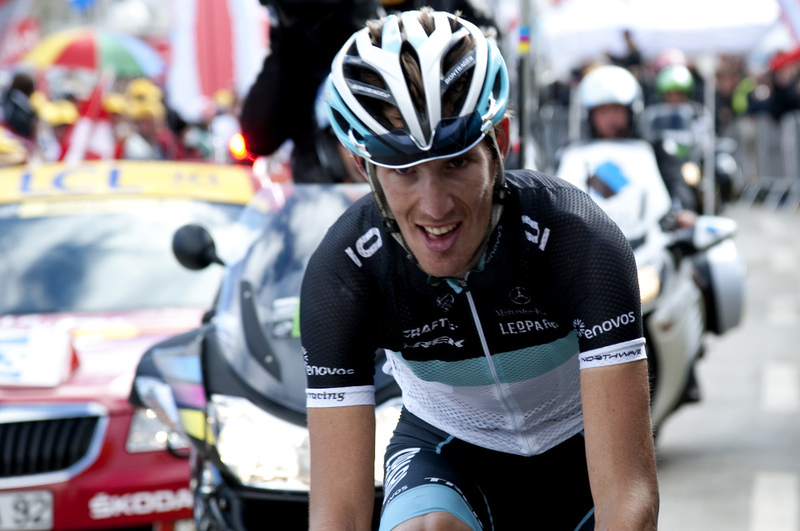 He looked strong for much of the day, but he crossed the line in 15th place, 3:50 behind Schleck. Schleck's startling move came after the main contenders for the yellow jersey seemed content to bide their time and wait for the day's final climb before making any decisive moves. But as Schleck, 26, sprinted off on his own and began to catch riders who had broken away from the peloton earlier in the day, it became clear that his move had been planned — several of those ahead of him were riders from Schleck's own Leopard-Trek team, who then helped him set a pace that put as much as 4 minutes, 24 seconds between him and his rivals. Thursday's 124.6-mile ride, which began in the Italian Alpine village of Pinerolo, finished atop the famous Galibier Serre-Chevalier, which at 2,645 meters is the highest-altitude finish in the history of the Tour. The Galibier was first included in the Tour 100 years ago. By the time Schleck reached the summit, no other rider was able to match his pace. He was all alone when he reached the finish line, taking his first stage win of the 2011 Tour. As distance opened between Schleck and the other contenders, Evans finally moved to the front of a chase group of less than 10 riders to close the gap down from more than four minutes to less than three. Contador stayed in Evans' group for a while, but he was dropped as they raced to the top. But despite that big push to the finish, Evans was unable to put distance between himself and Voeckler. Andy Schleck's brother and teammate, Frank, also stayed with Evans, eventually passing him to finish second in the stage. When the day began, Evans seemed to be poised to take over the yellow jersey — he was only 1:18 behind the leader, Voeckler, and he led Andy Schleck by 1:18, with nearly a two-minute advantage over Contador. There are only three more stages left in the Tour de France. And one of them, on Saturday, is an individual time trial — a discipline in which Cadel Evans and Alberto Contador excel, and in which Schleck has been known to struggle.